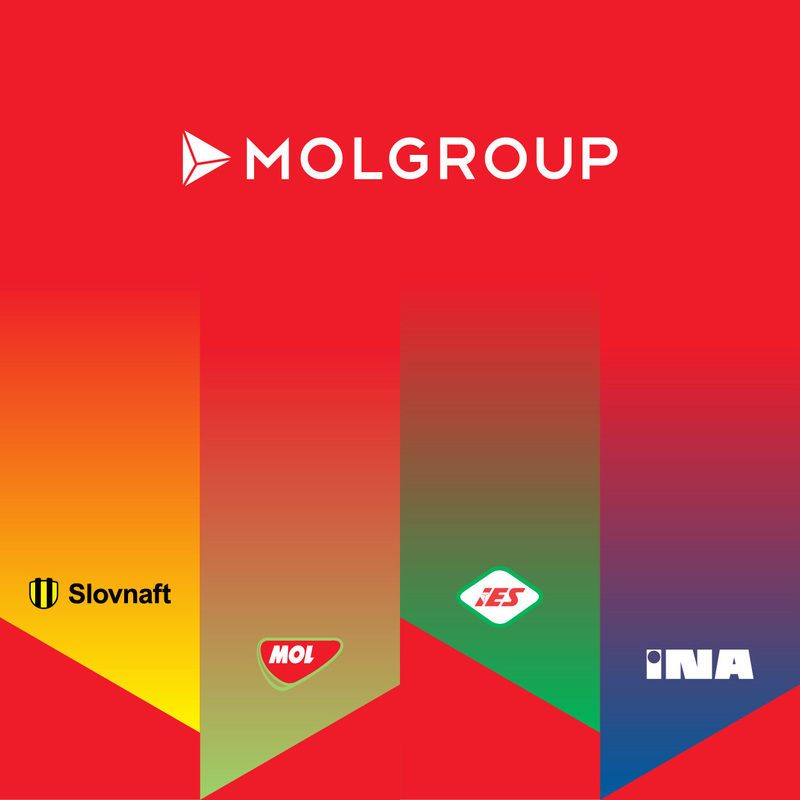 A dominant leader in Hungary and much of Eastern Europe, MOL Group work both upstream and downstream in the energy sector. 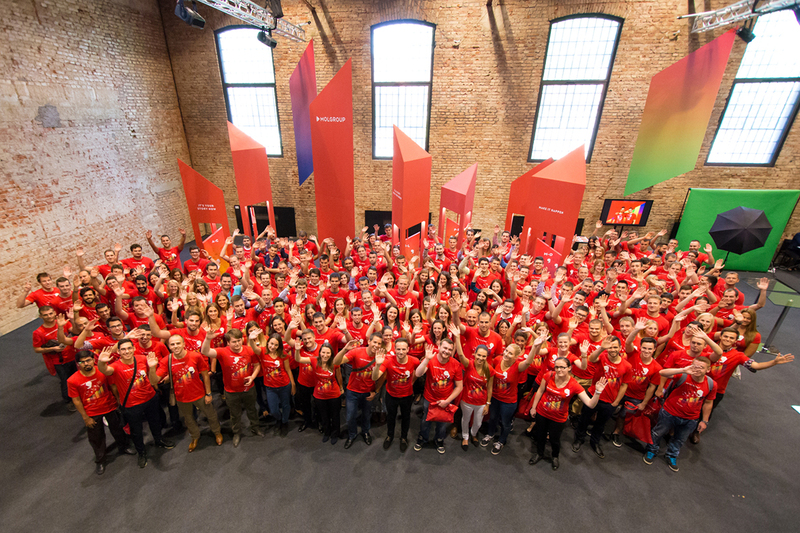 They needed to energise their internal culture, as well as develop a brand strong enough to compete on a global stage. 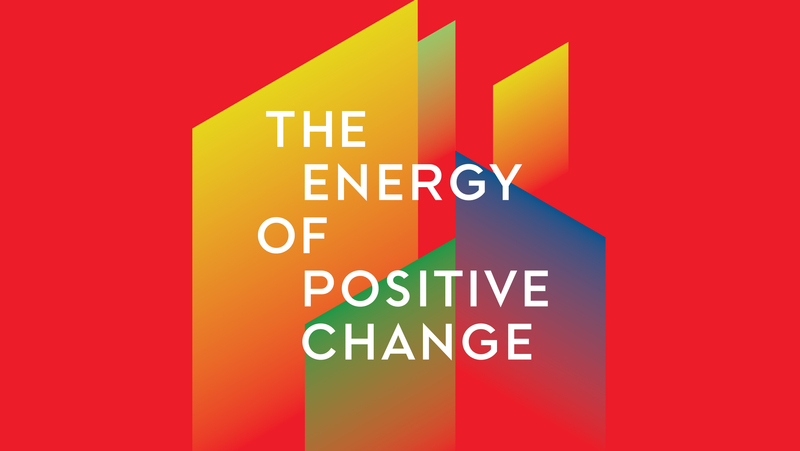 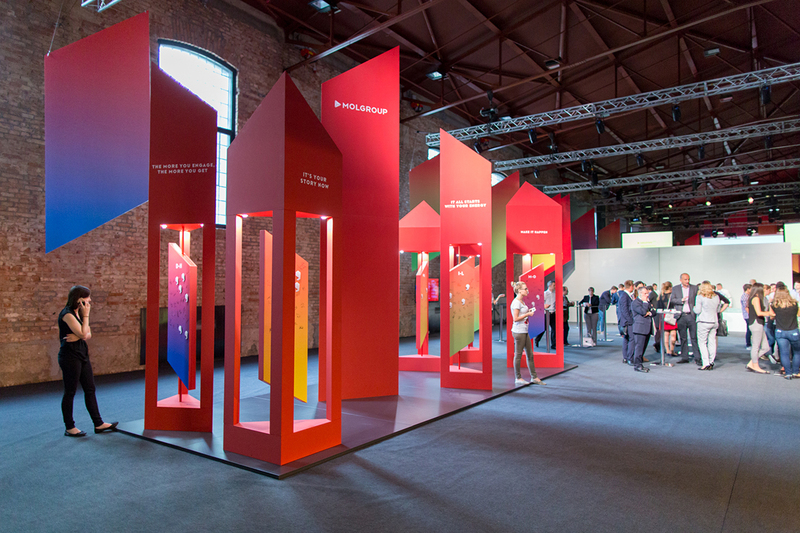 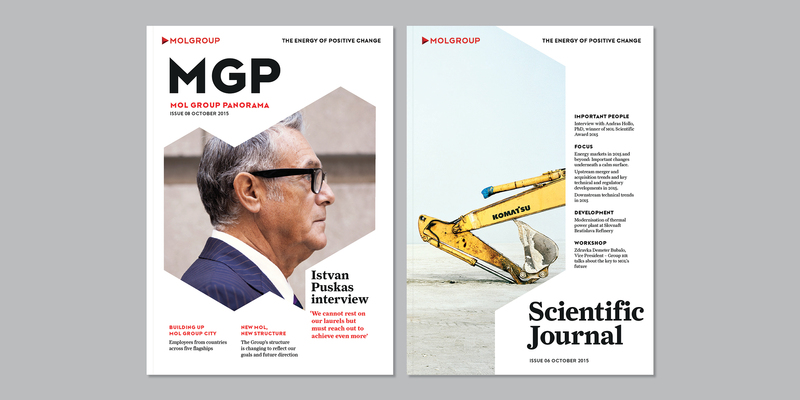 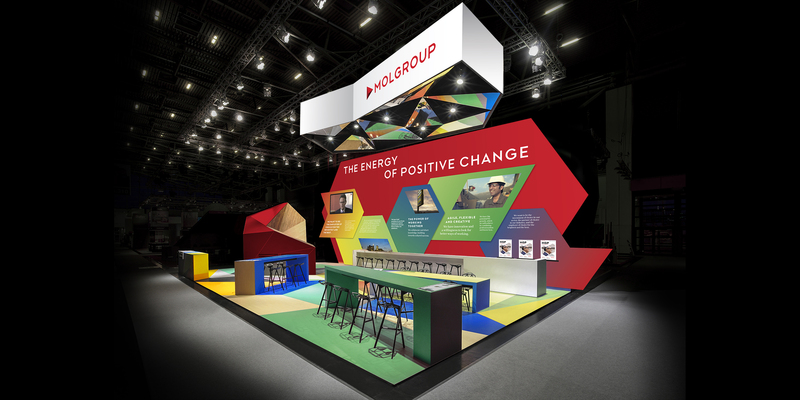 To bring the brand’s central idea (‘the energy of positive change’) to life, we developed a flexible and dynamic visual universe, carefully judged to give them the tools to balance consistency with creative inspiration. 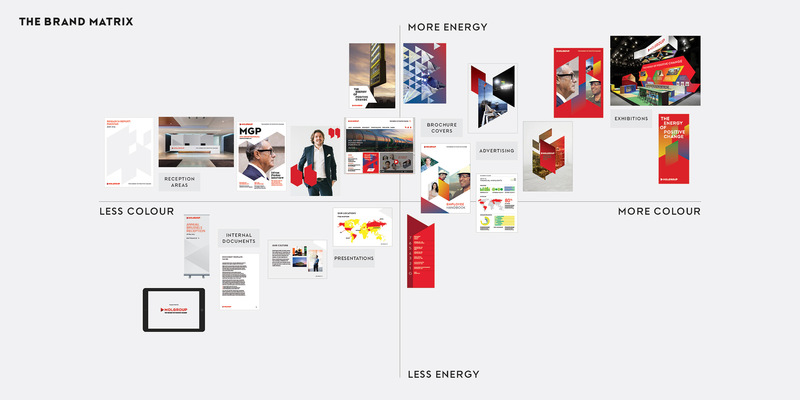 A grid of 30 degree angles, based on the logo, holds images and graphic elements. 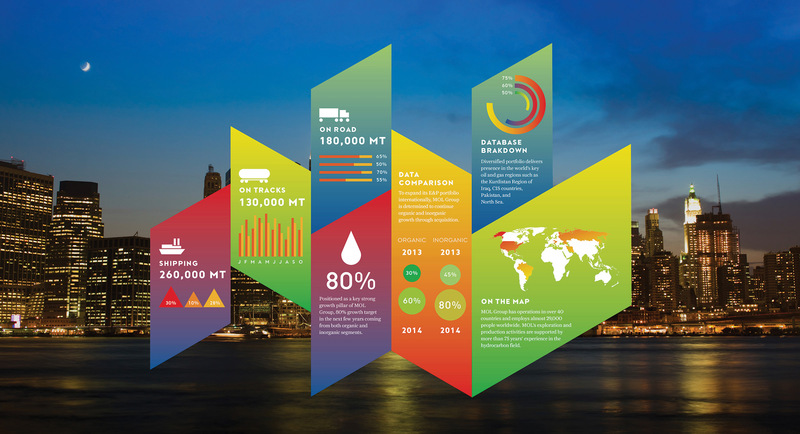 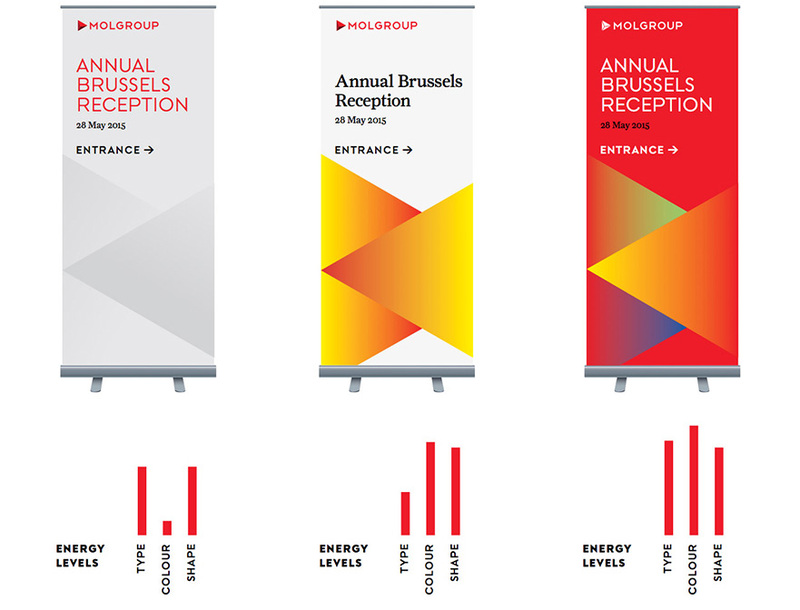 The colour palette of gradients is derived from MOL Group’s sub-brands, and can expand as the group does. 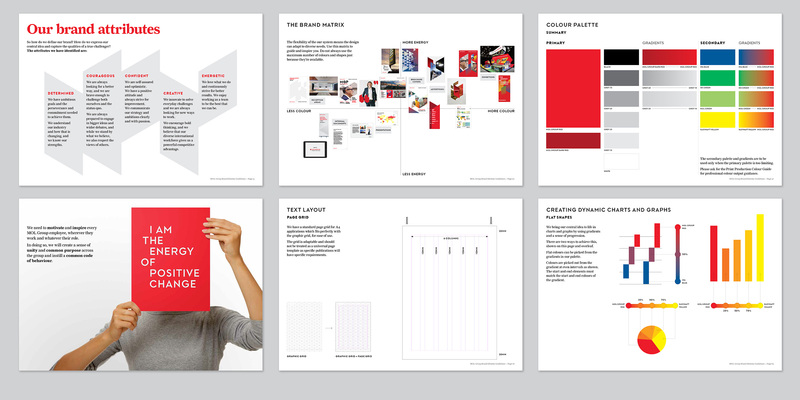 Using the brand matrix, users can decide how much to ‘dial the volume’ up or down for each application. 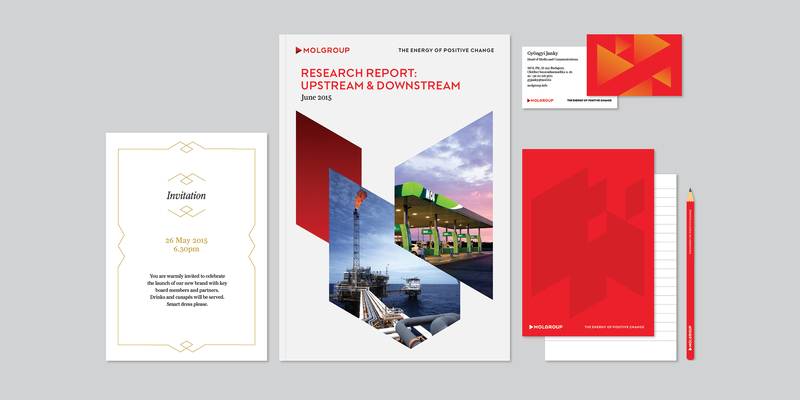 As well as causing great excitement in the communications team, we’ve produced a comprehensive set of brand guidelines. 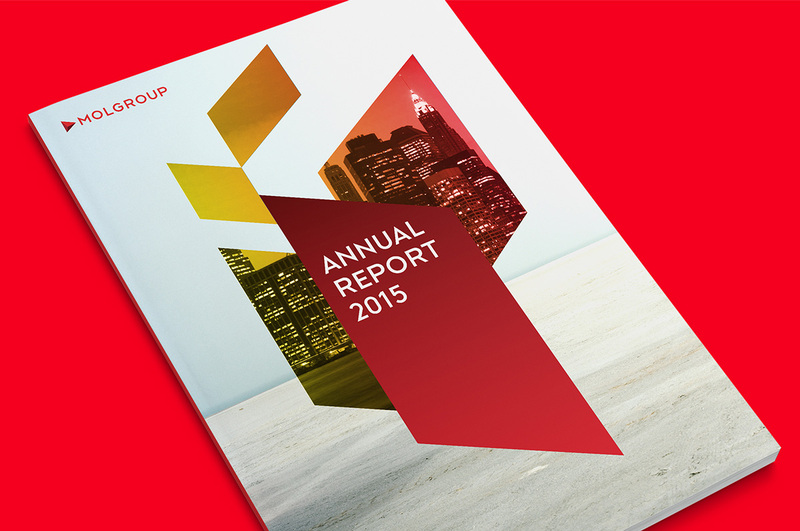 We continue to work together, guiding the brand through the next stage of their growth. 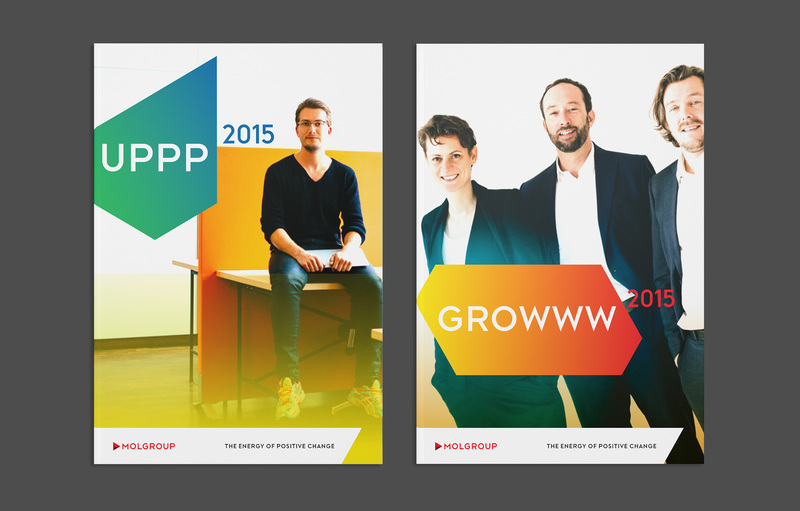 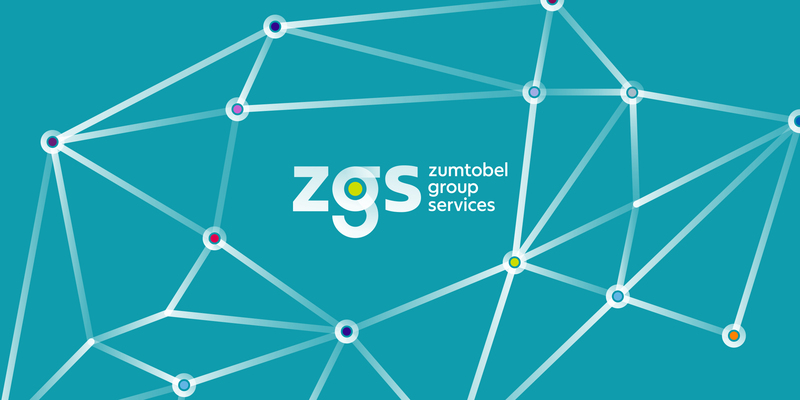 Creating a flexible brand for a rapidly evolving, industry-disrupting service brand.